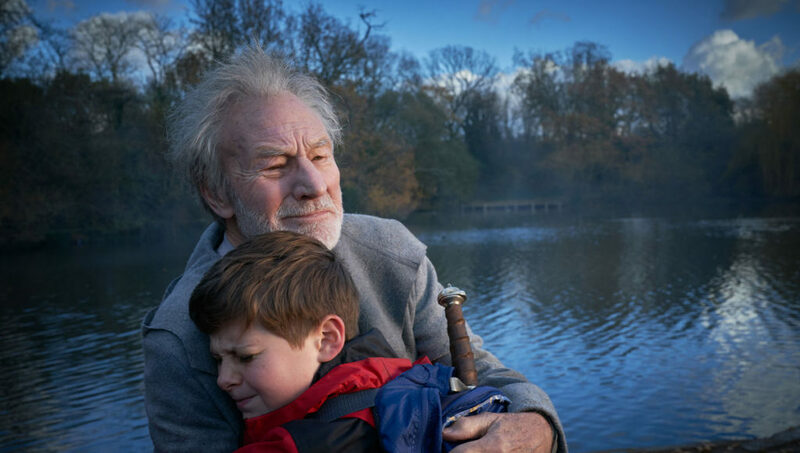 The Kid Who Would Be King brings the legend of the sword in the stone to modern times as our titular hero stumbles across Excalibur in a modern-day construction site in Britain. In the introductory sequence we are told that after her fight with King Arthur and Merlin, Morgana aka Morgan le Fay (Rebecca Ferguson) had been imprisoned underground awaiting her chance to break free to claim Excalibur and rule the world. Her return will be at a time when the land is cynical and leaderless, which could probably fit quite a few periods in history since her defeat but now is apparently the time. An upcoming solar eclipse will help her in her efforts. 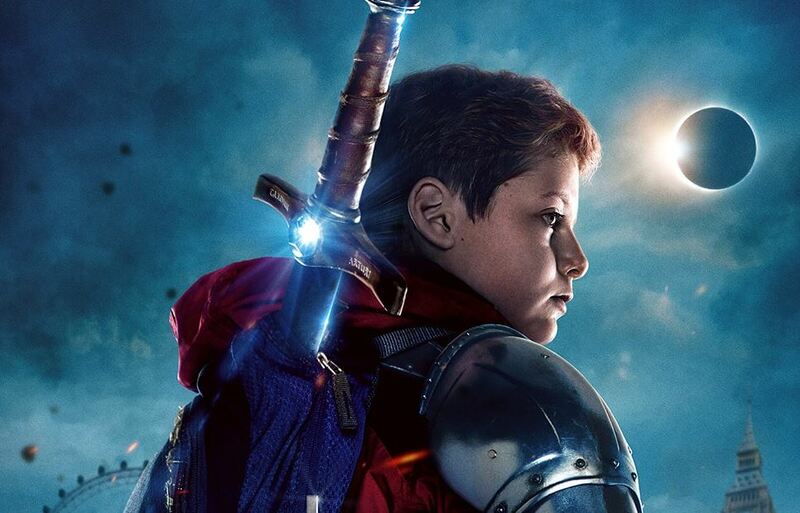 Enter our hero Alex (Louis Ashbourne Serkis, son of motion-capture king Andy Serkis), an ordinary 12-year-old who’s only relation to the Arthurian myths is the passion he once had for a book on King Arthur and the knights of the round table; as he grew older the book was relegated to the attic. Although he somewhat remembers the stories, he has lost the idealism they fostered way back then. 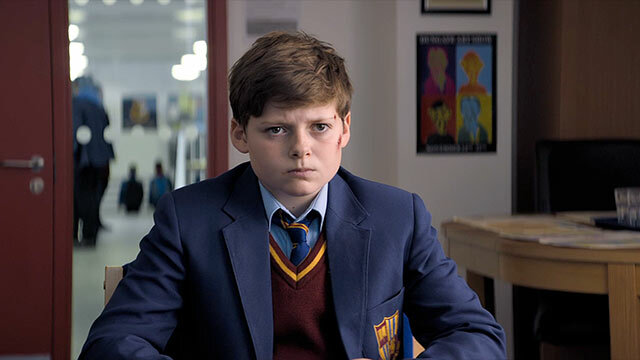 Alex has enough fortitude to stand up for his best friend Bedders (Dean Chaumoo) against the school bullies Lance (Tom Taylor) and Kaye (Rhianna Doris), but he doesn’t see the point of turning the bullies in as he doesn’t expect any help from the adults at school. Their recent change in grade has placed Alex and Bedders at the bottom of the school’s social heap, with Lance the self-proclaimed king of the school. It is the bullies’ attempt at retribution for Alex’s defense of Bedders that ultimately leads to Alex discovering a sword in a stone, which he pulls out and takes home. Things get a little strange after that and a new student appears at school. This oddball character is none other than Merlin the Magician. Patrick Stewart and Louis Ashbourne Serkis in Twentieth Century Fox’s THE KID WHO WOULD BE KING. Photo Credit: Kerry Brown. Morgana’s henchmen in the real world are the flaming skeletons of undead knights astride flaming skeletal horses. It is fortunate for our heroes that as skeletons they are still vulnerable to a good hard hit, flaming undeadness aside. There are a couple of exciting chase scenes as the undead knights try to steal Excalibur from Alex and his companions. During the course of their quest, as the once enemies become allies, each of the children grow: Alex learns to believe in himself and regain some of his ideals; Bedders gains confidence and a willingness to speak up; and Lance and Kaye shed their selfishness and change from looking out for number one to looking out for and supporting others. The movie reminded me bit of Lord of the Rings, just on a smaller scale. We have a disparate group formed due to the discovery of a magical object that is coveted by an evil power (as well as some of the fellowship), a trek to a far-off place, pursuit by some undead riders who are agents of the evil power, and a climactic battle between the forces of good and the forces of evil. LOTR is even alluded to in the movie a few times when Alex and Bedders compare their friendship to other famous bromances, including Frodo and Samwise. The Kid Who Would Be King doesn’t have the over-the-top effects of other blockbusters like Aquaman, but the special effects, CGI characters, and scenery/sets are still effective and well done. 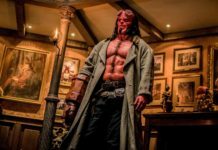 It doesn’t look like a big-budget movie, but that shouldn’t be taken as a criticism. Rather we are drawn closer to our characters with the absence of overwhelming effects or panoramic scenic views. The Kid Who Would Be King may seem like a smaller, scaled down version of a fantasy adventure film, but it still has a lot of heart. Previous articleIndestructable GoPro Gets Covered in Lava and Survives!